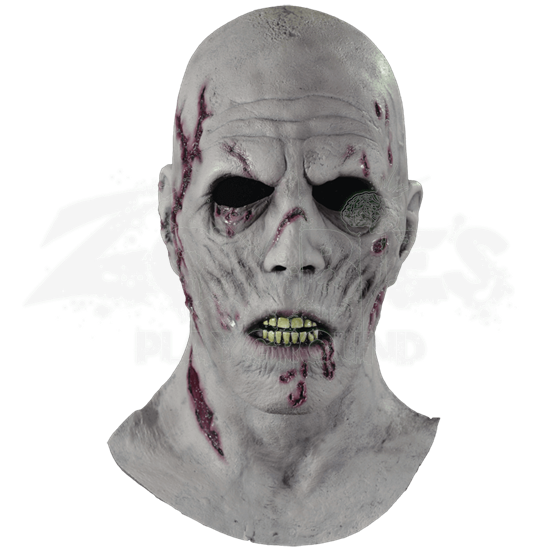 The Necrotic Face Mask is a licensed design from the Death Studios Collection, a collaboration between Jeff Death and Trick or Treat Studios. 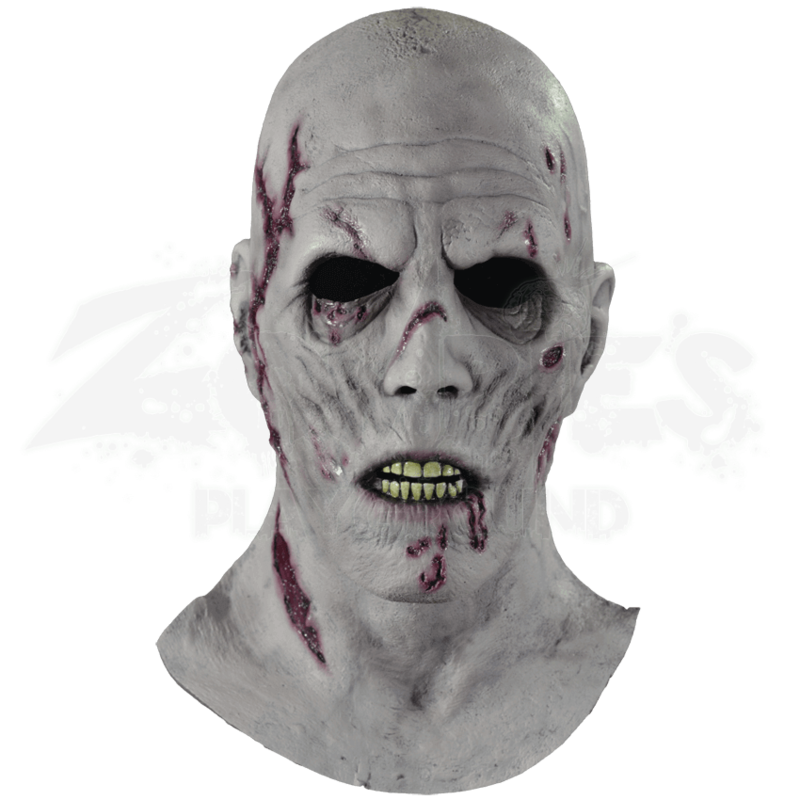 This ghoulish mask is made from latex and designed to cover the front of the face and neck. Appropriately titled, the Necrotic Face Mask depicts an undead being who is beginning to experience decay and infection to its horrifying wounds. This corpse skull mask features gory gash marks on one side of its face and is decorated with bloody puncture wounds on the other. The skin around the eyes, cheeks, and inside the wounds appears to be in an advanced state of necrosis. Secure the mask comfortably on your face and neck using the attached strap and get ready to stalk the neighborhood!